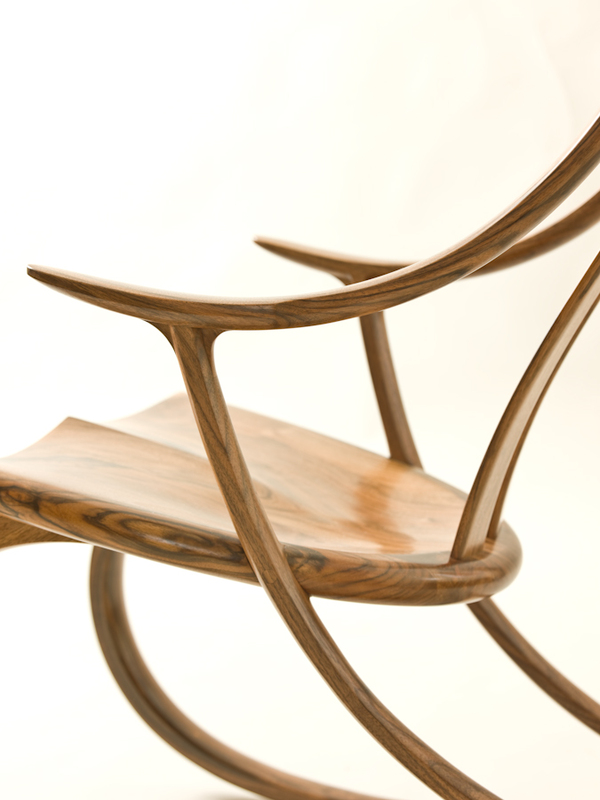 English walnut has been the most frequently used timber for building the Monogram rocking chair over the past 25 years. It is one of the most forgiving and pleasant woods to work, yet the most challenging in terms of choosing and combining the individual parts, as it is highly variable in colour and grain. 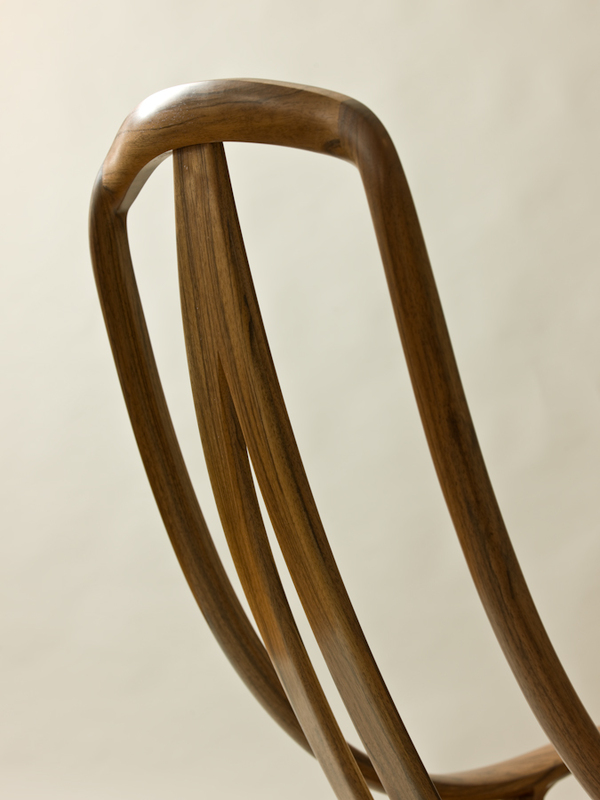 No two trees are ever the same so all parts of a chair in English walnut must be from the same tree. Colours can range from pale reds and orange streaked with black lines to gentle amber and honey tones with soft browns. It is generally lighter in tone than American walnut. Multiple coats of a hand applied oil/varnish mix both protect the surface and enrich and deepen the colour. With an occasional wipe-over with linseed or tung oil, as with a gunstock, the walnut will develop a beautiful patina over time. English Walnut is also known as Juglans Regia.